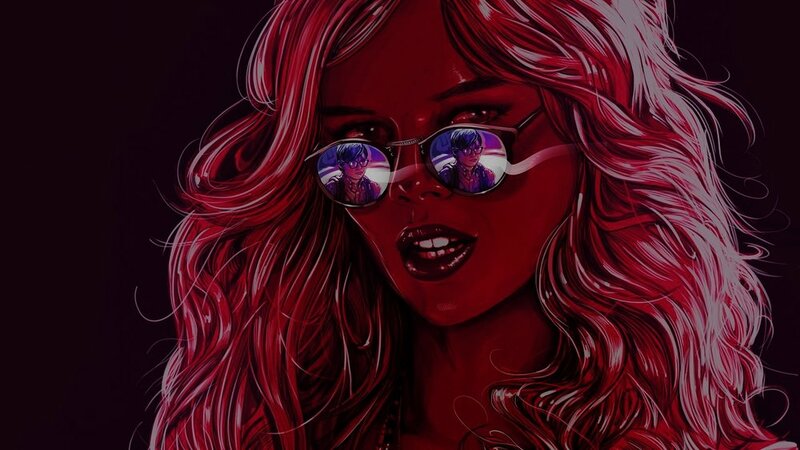 The Babysitter is yet another produced-for-Netflix exclusive original, and is currently streaming on the popular service. I would classify it as a dark comedy - coming of age tale - for its brilliantly quick and witty dialogue, as it doesn't even try to be funny, it just automatically is. The movie tells the story of 12 year old Cole (Judah Lewis) who's not only being bullied at school, but also happens to be the only kid that still needs a babysitter. He's also got parents, Leslie Bibb (Popular, ER, Talladega Nights: The Ballad of Ricky Bobby) and Ken Marino (Dawson's Creek, Charmed, Veronica Mars) that make it a point to remind him - constantly - of these depressing facts. And then there's the babysitter herself, Bee, played by Samara Weaving (Home and Away), who isn't just wicked gorgeous, but also seems like the responsible-yet-fun kind of personality, the type of babysitter we all wish we had as young children. One night, when Cole's parents are away, and Bee is asked to babysit, he stays up past his bedtime and witnesses something he shouldn't have. He discovers that his babysitter is actually a menacing leader of a devil-worshiping cult; and as the story progresses, it turns out that everything Cole thought he knew to be the case, actually isn't. He's now forced to spend his night trying to defend himself from Bee and her merry band of lunatics, before they take him out. on Bloodlist's 2015 "most-liked unproduced dark screenplays" of the year. The Babysitter has that 80's kind of retro feel to it, so if you're one of those who happen to love films like, All Cheerleaders Die, and perhaps are looking forward to the similarly styled Death Day and Tragedy Girls, you are without a doubt going to enjoy this; a guaranteed bloody-fun time. Entertaining Netflix Original junk food that hits more times than it misses. I’m such a sucker for those stylish slow mo Adam Wingard-esque climactic shots... especially if it’s backed by Queen. A charming, over-produced, fun little horror that feels like a cross between a Nickelodeon production and Judd Apatow coming of age comedy; like some feature length rated R Halloween special episode of Malcolm in the Middle. Just that only Malcolm is in it. I don't even know what I'm saying anymore.Watch it, it's good.